The men in our lives deserve to be as healthy as they can be and Adult Essentials can help them do that! My husband is a big snacker — what man isn’t? Still a big kid at heart with his love for gummy bears and gummy worms. My husband works very hard, mentally & physically he does get exhausted and I notice it. On top of being the sole provider of our household right now, he also helps me tremendously around the house (housework and with my daughter) and many, many other things that slowly gnaw at his health. And I have to admit – he’s not a big fan of vitamins. He has this thing about having to swallow them and also just the issue of remembering to take them daily. I was so happy to have been introduced to Adult Essentials/Iron Kids Gummy Vitamins at the Shes Connected Conference last year. 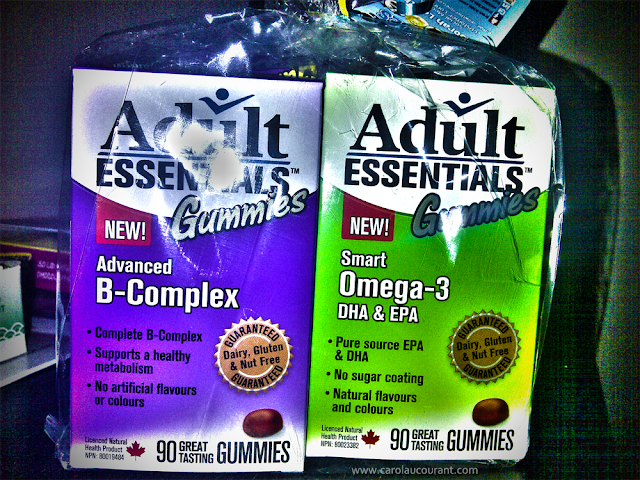 They not only provide the essential nutrients your body needs but they taste like real gummies! My picky toddler instantly loved them and it’s the only vitamins she will honestly take but my concern was… will this work on my husband? Sure he loves his gummies, but will they taste good enough for him to remember to take them everyday? I was given the opportunity to receive these delicious vitamins for that special man in our life and see what he had to say about it, because after all Dads deserve to be healthy too, right? He took them without question and chewed at it as if enjoying your typical candy. I handed him the box and was he ever impressed. He was actually enthusiastic about it. He’s been looking for some good new vitamins to take and after the countless times I’ve mentioned Adult Essentials!, he finally is a believer. Woo-hoo! Love that he looks at them as a daily treat (because they are!). A healthy, guilt-free dose of yummy. Adult Essentials along with Multi-Testing Mommy and a group of amazing and influential bloggers (including yours truly) are co-hosting a Dads Deserve to be Healthy Giveaway to celebrate Dads in Canada being healthy. Would you like to enter to win a handsome monogramed black gym bag FULL of Adult Essentials for that important Dad in your life? Enter the Rafflecopter Form below. 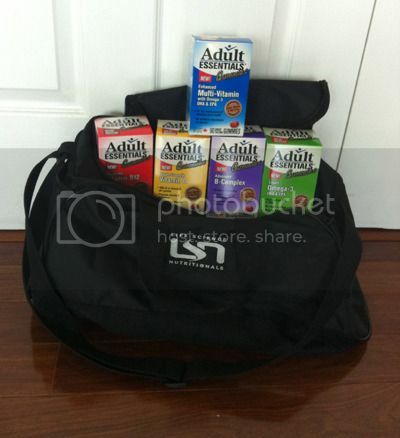 Adult Essentials are available online at Well.ca and at most Rexall Pharma Plus, Metro, Sobeys, Loblaws/Real Canadian Super Stores, London Drugs and now at Shoppers Drugmart. To learn more about Adult Essentials, feel free to visit them: Adult Essentials Website@AdultEssentials on TwitterAdult Essentials on Facebook. **Disclaimer: I did receive products to compensate for participating in this review; however all opinions expressed are my very own. Never realized that vitamin d helped boost metabolism! This could help my 17 year old son with calcium absorbtion and vitamin D.
Calcium absorption – so important to maintain a strong frame! My husband could seriously use these! Vitamin D helps with calcium absorption.. that’s awesome. Learned a great deal reading up on the benefits of these vitamins. Interesting to learn that B-Complex (a vitamin I wasn’t so aware of) helps to metabolize fats and promote healthy tissue formation as well as protein and carbohydrate metabolism. Also that it maintains cardiovascular health by helping transportation of oxygen. This is a great vitamin for men!